I am hoping that if you need some sort of accountability in getting your daily things done, that you will join in. This will be a short sign-up for this because you will only be able to sign up for it until tomorrow evening [Wednesday night] and it will be then when I assign partners. What you should do if you want to sign up is to write a list of things that you would like to get done on Thursday - or even things that you want to work on whether you get them done or not. 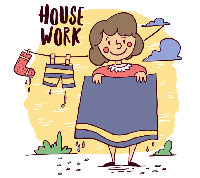 Such as I have regular things that I put on my list [like washing the dishes, or cleaning and shining the kitchen sink] but also I have things that I work at a shorter period of time such as when I work on my crafts or work on a swaps. What you'll do is: When you get your partner [you will only have one partner] - you send them your list for the day to let them know what you'll be working on and then update them when you're done about how you did. When you contact your partners to send them your list and to update them, I think it would be easier to do it through Swap-bot messages. Personally, I find having accountability helps me to get a lot more done than I normally would. I hope that others will sign up for this! If this works out and people do, I will definitely host it again.